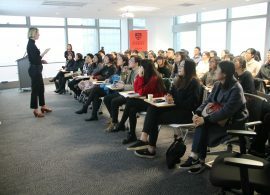 About 15 undergraduate students in their second year of study from the University of Sydney Business School will visit China from 8 July to 22 July on Future of Business China Study Tour (FBCST); a major part of their China tour will be based in Suzhou, where the University’s multi-functional Centre in China is located. 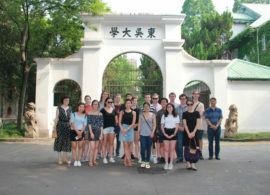 With a view to increasing cultural mobility experiences for Business School students and increasing connection with global partners via Work-Integrated Learning, FBCST is a two-week study tour to China to introduce students to the future of business in China and is a pathway towards more complex Work-Integrated Learning opportunities such as industry-based project units or placements. 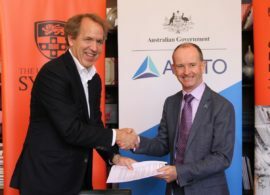 The FBCST program has been jointly designed and developed by the University of Sydney Business School and the University of Sydney Centre in China. Highlights of the two-week intensive program include language and culture classes, innovation and business classes, purposely designed cultural immersion experiences in Nanjing, Yixing and Shanghai, and in particular a variety of industry engagement opportunities to visit such companies and organizations as China-Singapore Suzhou Industrial Park Development Co., Ltd., ORIZA Holdings Group, Golden Concord Group Ltd., Goodbaby Int’l Holdings Ltd., Yi Xing Industrial Park for Environment Science & Technology, Tongcheng Network Technology Co., Ltd., Bank of Shanghai, Huawei Suzhou, China Baowu Steel Group, AllBright Law Office, etc. By immersing themselves in China’s cultural and business arenas, the students from Business School will benefit from linking theory of their discipline knowledge to the world of practice and developing self-management skills via effective reflective practice for job-readiness. 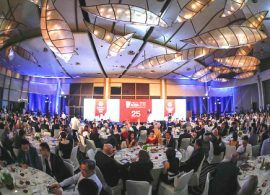 Since its inauguration in November 2016, the Centre in China has been playing an integral role in the development of the University’s China-related initiatives. In addition to contributing actively to the preparations for the FBCST program, the Centre in China will work harder as the host to make sure that the students’ experiences in China are rewarding both academically and practically. How close are we really to 3D printing organs? 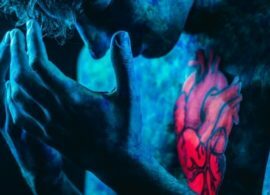 Australians may soon be implanted with 3D printed organs thanks to new research at the University of Sydney.